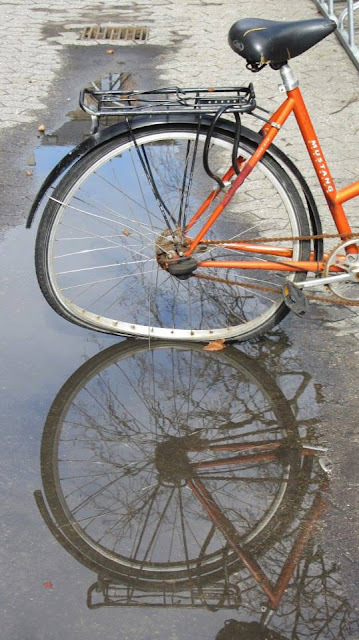 Photo credit: Sylvia Mehnert, who photographed the bike in Copenhagen. The bike could be leaning to give the illusion of not being bent in the reflection. Thank you, Sylvia. I've added an appropriate credit to the post.